Consume less calories to lose weight and more to gain weight. That's the basic premise of calorie tracking, and why fitness bands tends to obsess over our intake and daily burn. In a series of features over the past few months we've explored the ins-and-outs of calorie tracking, taking a look at how wearable tech companies actually measure calorific burn, and even spent time tracking calories ourselves to really study the effects. It's clear that calories can work. Our own experiment led to weight loss success, even if it felt unsustainable. And new data from Withings – which has recently partnered with MyFitnessPal – has revealed that those who track calories and weight together were more successful at shedding pounds. However, there's a mounting consensus that counting calories may not be the best way to lose weight. In the final part of our look at calories in wearables we discover whether there are better metrics to track. And look at the wearable tech and health brands which are already taking a more rounded look at what we eat. The popularity of diets and eating plans such as paleo, bulletproof, ketogenic, low carb and clean eating has put the basic idea of the calorie under scrutiny. Although some variations of these diets could be viewed as faddy, most of them have proven to be successful by people who became disillusioned by calorie counting years ago. "Not all calories are used by the body in the same way. People who consume the same amount of calories but from different sources have different health consequences. "One study compared two groups of people who ate the same calories – however, one group had carbohydrates that were fast releasing and the other had slow releasing sources. The group that had fast releasing carbohydrates gained weight, whilst the other group lost body fat. "People can be easily swayed to eat less nutritious things that are lower in calories. We need to focus more on nutrients and less on calories." "The answer would be to look at the quality of the calories they are consuming. Replacing some of the poor quality foods with more traditionally 'clean' / Paleo type foods will not only kick-start the weight loss process, but improve overall health," he said. But despite downsides to calorie counting, it's still the key metric for most wearables. It takes centre stage on any app dashboard, whether you're signing in with a Misift Shine, a Fitbit Charge HR, a Jawbone UP3 or going wearable-free and logging everything with MyFitnessPal or Noom. 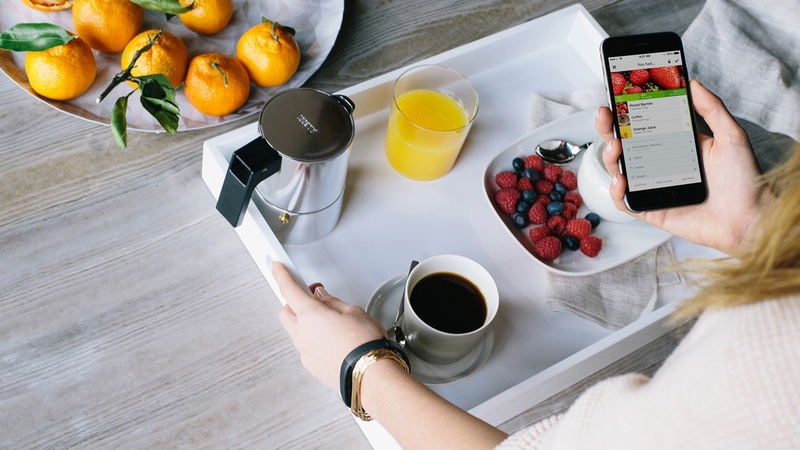 We spoke with Jawbone about how the app measures nutritional value as well as calories. Because although Jawbone still places a lot of attention on Calories Eaten and Estimated Burn, but a spokesperson told us that it's starting to focus on other metrics. "Features like 'Food Score' help you to get the information you need to improve your diet and reach an ideal weight too. With Food Score, you get a quick number to help you understand how healthy a dish is overall, based on only one straight-forward number. What we're doing is calculating several known ratios, to show you how healthy nutrients are weighted against the less healthy nutrients, like sodium and cholesterol which have been linked to health issues like heart disease." And it's the same story with MyFitnessPal. The app is focused on calories in and calories out — it's right there on the app's main dashboard. But, take a closer look and there are plenty of options for users to delve a little deeper in-to the settings and find their macro and micronutrients, breaking down their food intake into protein, carbohydrates, fibre, sugar and fat – as well as vita-mins. The problem is, these metrics that provide more information for users don't come with an instruction manual and are often "under the hood". They're there, if you can be bothered to find them. This means that looking beyond the calorie means taking responsibility, tweaking settings, like many have done to turn MyFitnessPal into a ketogenic diet tool, and most importantly ignoring the calories numbers that are placed front and centre. It means that if you don't want to focus on calories – and many people would suggest you shouldn't – a lot of wearable tech and apps don't cater for you. Well, it's good to see some brands realise that maintaining a healthy diet is about more than calories and we're interested in seeing how Jawbone can push its Food Score system even more over the coming months. And over time we can expect that to happen with other brands more and more. But in the meantime you'll either have to use wearable tech and apps more wisely — customising the settings and figuring things out for yourself.